Jean Monnet was a French political economist and diplomat, and is considered one of the founding fathers of the European Union. We are newly associated with Fondation Jean Monnet pour l’Europe – The Jean Monnet Foundation for Europe – an organization supporting initiatives dedicated to the construction of European unity. Jean Monnet was photographed in 1965 in France in the same week that Karsh photographed Joan Miro, Francois Mauriac, Man Ray and several others. 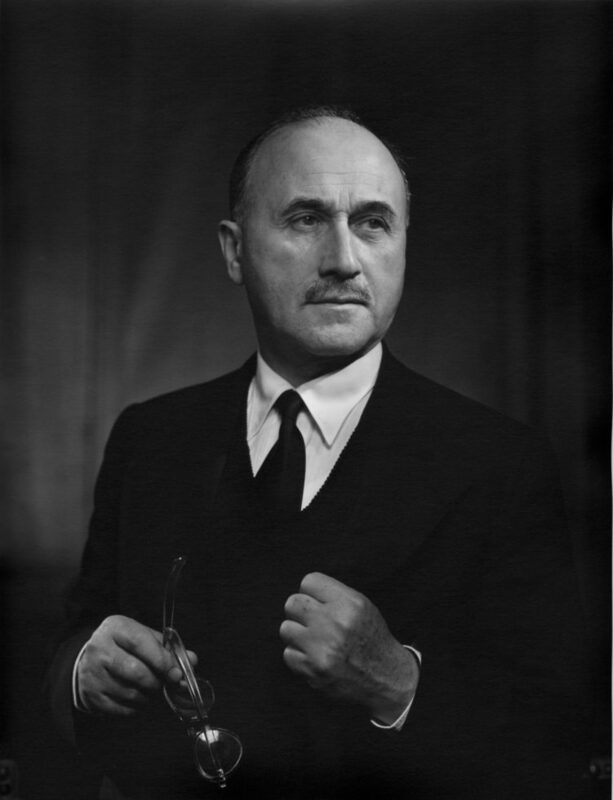 Karsh had photographed Monnet in 1949 when the latter was the French Under Secretary of State.